Martin Gill, the plaintiff in the successful legal challenge to Florida's anti-gay adoption ban, will be attending the White House Holiday Reception today, Dec. 16th. The invitation follows a direct appeal by Equality Florida to the President asking him to spotlight the harm of Florida's anti-gay adoption law which has since been struck down by the court s.
"I know I'm not representing just myself or even just my own children. I will be there on behalf of every child in need of a loving home and all the future families that will be formed because of our victory this year. Thank you for standing with me," said Martin Gill in a note written to supporters across the state. On September 22nd, Martin and his family, represented by the ACLU, won a unanimous Third District Court of Appeals decision that found Florida's adoption ban unconstitutional. The decision is binding statewide and, for the first time in 33 years, allows gay people to be considered as prospective adoptive parents in Florida. 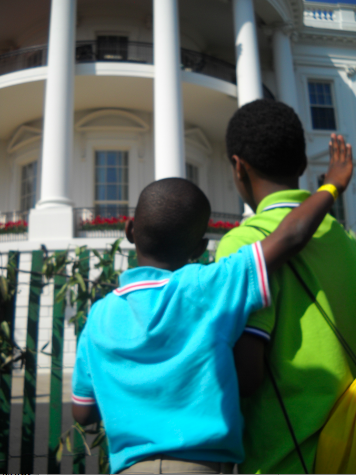 Earlier in the year, Equality Florida facilitated Martin Gill and his boys' attendance at the Easter Egg Roll on the White House lawn. The picture of the two boys facing the oval office became a powerful emblem in the fight to end the ban. 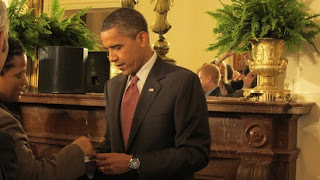 During the White House Pride event in June, Equality Florida's Executive Director Nadine Smith was able to place that picture and a note in President Barack Obama's hand and ask for his help in denouncing anti-gay adoption law. The President promised to read the note and White House staff followed up on the request. Watch the video: http://www.youtube.com/watch?v=fZcKh0d2Z0U . "We are thrilled that the President made good on his promise by inviting Martin and his partner to the White House," Nadine Smith, executive director of Equality Florida. "Martin Gill is a hero to the thousands of children in Florida's foster care system who now have a better chance of finding a loving adoptive family," said Smith. "Most of all, Martin is a father who stood up and refused to allow anyone to tear their family apart." The end of the anti-gay adoption ban, the only such ban in the nation, is further evidence of a dramatic shift in Florida. A recent report by Equality Florida shows the majority of Floridians now live in communities with inclusive anti-discrimination policies.Major employers are also lauding the end of the adoption ban, passage of safe schools laws and pro-equality local ordinances as a major improvement in Florida's reputation as a welcoming and inclusive place to live, work and visit. Through Equality Florida's "Equality Means Business" program, corporations such as Pepsico, Wells Fargo, Citi, and BlueCross BlueShield of Florida are highlighting the importance and value of respecting diversity in Florida. Thank you for the invitation to join you for the White House LGBT Pride Reception. On behalf of the 131,000 households that support the work of Equality Florida and all fair-minded Americans I ask you to please lend your voice to ending a law that literally tears families apart. Every Wednesday for almost a year these two boys wonder if the court will decide to let them be adopted by their foster dad of over 5 years or whether they will be torn from their home and likely separated. Florida is the only state with a statute that specifically bans gay people from adopting but already anti-gay groups are preparing to launch a ballot measure to make this devastating discrimination part of the state constitution. We must end this now in Florida or we will see it on the ballot state after state.